A BIG thanks to our co-chairs Mindy and Jon Gray & Shari and Len Potter, as well as our dedicated Gene Pool Committee, and all of the generous supporters. University of Pennsylvania President Amy Gutmann joined Abramson Cancer Director Dr. Robert H. Vonderheide, and Basser Center Executive Director Dr. Susan Domchek, to celebrate five years of progress at the Center. We were thrilled to honor Pulitzer Prize-winning author of The Emperor of All Maladies, Dr. Siddhartha Mukherjee and Basser Leadership Council members Raquel and Michael Haas. We were excited to have Hoda Kotb from NBC’s “The Today Show” emcee the evening, as well as ABC7 Eyewitness News reporter and Basser Center Leadership Council member Stacey Sager. 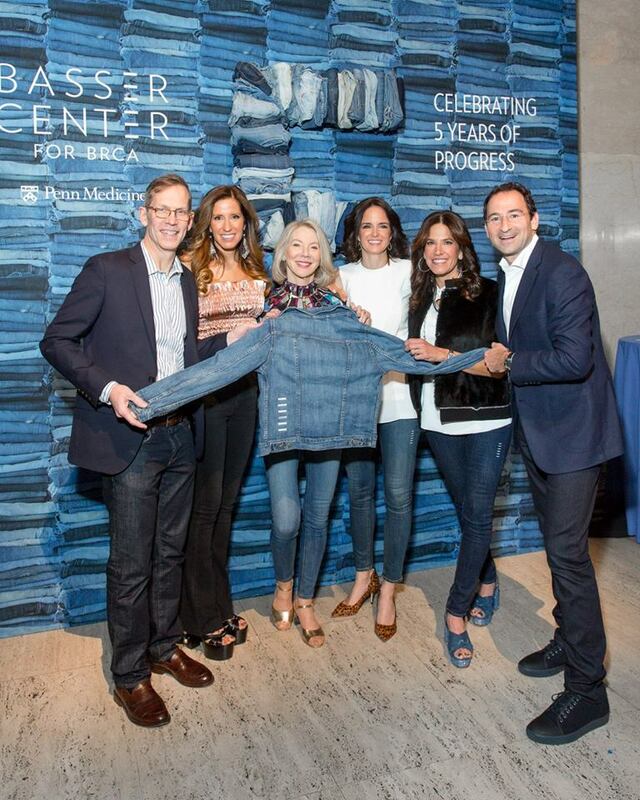 A special thanks to Levi Strauss & Co. for generously donating jean jackets customized with the distinct Basser logo, which were sold at the event. The evening culminated with triple Emmy award-winning Rachel Platten singing her fittingly titled hit, “Fight Song.” The Basser Center will continue to fight until we eliminate BRCA related cancers. We debuted an animated video narrated by Pierce Brosnan celebrating Basser’s five years of progress. In addition, we celebrated the complexity and promise of science in a video featuring children and Basser Center researchers. The evening also launched our social media campaign, with special help from Ryan Seacrest. You can help us raise awareness about hereditary cancers by sharing this video on social media and using #invisiblegenes. Reveal your invisible genes. Uncover your risk. Unlock the potential for a cure. Check out photos from the event here and on Facebook as well as on Instagram by searching for #invisiblegenes and #BasserBRCA. The event was also featured in Bloomberg and Forbes, as well as on ABC7 and the Today Show. For those who couldn't attend, or who would like to see the highlights again, view the event program.